From museums to playgrounds to restaurants to concert venues, Washington, DC is a city that has something for everyone. Since coming into office, my Administration has been focused on ensuring that, no matter what ward or which neighborhood you live in, Washingtonians across DC have equitable access to all the fun our city has to offer. This means creating events and programs for people of all ages, being responsive to the interests of our residents, and working across agencies to not only keep residents engaged, but also safe and healthy. This summer, as we double down on these efforts, we've created a website to make it easier to keep track of everything going on and to find an event near you: saferstrongerdc.events. the fourth annual Chuck Brown Day at Chuck Brown Memorial Park. In addition to these events, we have teen nights, fitness activities, pools and spray parks, and more. To learn more about the many events and programs happening around DC, tune in to our Facebook live with Deputy Mayor for Greater Economic Opportunity Courtney Snowden, Department of Parks and Recreation Director Keith Anderson, and the Executive Director of our Safer Stronger DC Office of Neighborhood Safety and Engagement Del McFadden tomorrow at 3:00 p.m. on my Facebook page. Did you hear? The Kids Ride Free program is getting smarter! 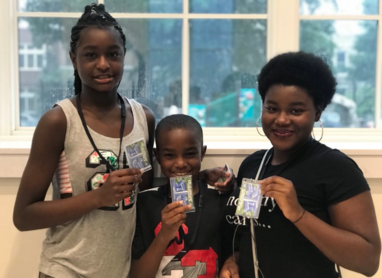 On Saturday, July 21, the Bowser Administration kicked off its Kids Ride Free card distribution events for DC students. Over the coming weeks, card distribution events will be held in every ward. At these events, students can pick up their new Kids Ride Free SmarTrip card. In order to receive a new Kids Ride Free SmarTrip card, students will need to be present and bring their current DC One Card or a government-issued ID. If students are unable to attend a summer distribution event, they can obtain their new Kids Ride Free SmartTrip card from their school's DC One Card Administrator at the beginning of the school year. For more information on Kids Ride Free, visit kidsridefree.dc.gov or call (202) 673-1740. The Bowser Administration is currently collecting school supplies and uniforms for children residing in shelters. 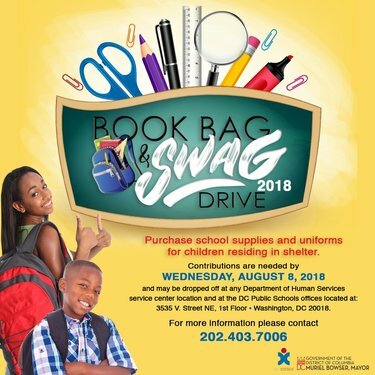 Contributions are needed by Wednesday, August 8, and may be brought to any Department of Human Services service center location or the DC Public Schools offices (3535 V Street, NE - 1st Floor). For more information, please call (202) 403-7006. 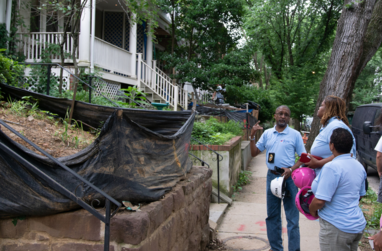 This month, the Department of Consumer and Regulatory Affairs began its “Illegal Construction Blitz.” The initiative, which will continue through the fall, deploys inspection teams that identify and take action on illegal construction projects and housing code violations. During a blitz, an inspection team covers a pre-determined route that was developed, in part, by analyzing historical data. In addition to illegal construction, teams also identify and cite other egregious property maintenance violations. Any construction in the District of Columbia done without required building permits is illegal and presents a public danger. Please report illegal construction activity in your community by calling 311, texting DC311, visiting 311.dc.gov, or tweeting @311DCgov. This week’s District Minute features stories about the Dinner and a Movie Series, the DC Puppy World Cup, and Mayor Bowser's keynote address at the National Alliance on Ending Homelessness Conference. The Metropolitan Police Department (MPD) is the primary law enforcement agency for Washington, DC. MPD's mission is to protect DC's residents and visitors through high-quality community policing, state-of the-art information technology, and a commitment to innovation. MPD has an opening for a Staff Assistant. 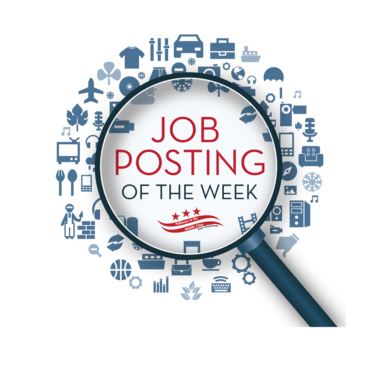 This position is responsible for providing administrative support and performing other related duties as assigned. All details regarding this vacancy, including qualifications, can be found by visiting the job announcement.